NEW: Evalanche V7 - Now even more intelligent & automated! Intelligent marketing automation: built from the ground up for compliance with data protection regulations. Based on the concept of a Best of Breed Solution, we react agile to the constantly increasing speed of innovation and achieve maximum impact. In the usual high quality and Made in Germany. Generating more leads, increasing level of automation, managing your personas through the buyers journey and turning them into brand ambassadors is now easier than ever before – with Evalanche V7. The latest release of the email marketing automation software with its revised interface and numerous technical innovations offers you even more efficient working. In addition to its modern interface and functional innovations Evalanche V7 is built and optimized to fully comply with EU legal and data protection requirements with a special focus on the requirements of the DACH region. Benefit from revised interface design and usability optimizations. The design innovations let you work easier, faster and more intuitive. 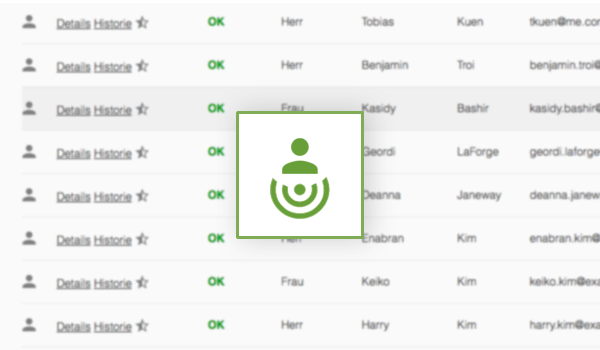 Uniformed icons and a revised color scheme guarantee a more intuitive use. Use the system documentation for a quick introduction to the software, innovations and best practices for using new functionalities. The revised system documentation provides you with an overview of all functions and how to use them correctly. In addition, with numerous usecases we offer you concrete tips for practical use. More about this in 2018. With our manuals you will find an introduction to the topics of email marketing, lead management and marketing automation. You will learn how to increase deliverability, what you have to consider when it comes to data protection and much more. Use our manuals for a quick introduction to the software. Step by step we explain how to set up web forms, design campaigns, create LeadPages, set up DKMI&SPF, and what you can do about privacy and data management of personal data. 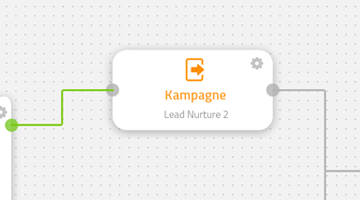 Easily create multi-stage campaigns in Evalanche by defining start and end point of your campaign, time spans, dependencies and conditions to automate your lead management and communication with customers and prospects. The Evalanche Campaign Designer combines business process management methods with the flexibility of Evalanche object configurations around a receiver profile. Waypoints and highly adaptable tokens within a campaign make it easy to start individualized marketing activities tailored to the behaviour of a single person and do so completely automatically. You can link lead pages, personalized websites, e-mailings, QR codes and print mailings easily and cross-media. The token allows you to check whether a profile has visited a Landing Page. Based on this activity, you can edit the profile accordingly in your campaign. 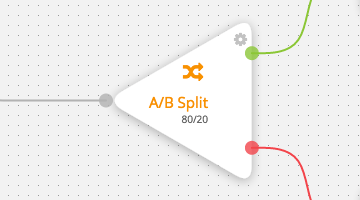 Test your campaigns with A/B split tests from now on. This makes it easy to find out which route is better accepted and which campaign element promises more success. The A/B ratio can be adjusted individually. Use geographical data to individualize your marketing campagins. Define a radius to the event location as part of events and trade fairs. This allows you to address the profiles in your defined radius. The radius and coordinates can be adjusted individually. Boost your event marketing with highly selective content for a designated geo location. You can now easily define that a campaign is started automatically after the completed form has been submitted. In the future, you will no longer necessarily have to import a target group if you want to start a campaign. This is because the profiles start the campaign dynamically as soon as they correspond to one of your predefined definitions. 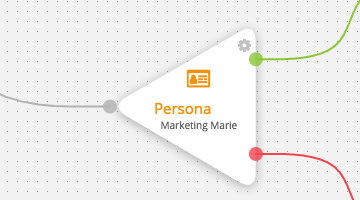 The persona token checks whether a profile corresponds to your defined persona. On the basis of this knowledge, new points can be defined in the campaign. The Campaign Designer allows you to redirect the profiles of a defined persona and respond to your customer journey. For particularly extensive or varied campaigns, you have the option of copying profiles from one campaign to another from Q1 2018 onwards. In this way, you can easily modularize complex scenarios and integrate them into one or more additional campaigns. Evalanche V7 offers you even more possibilities when creating lead pages with integrated web forms, with which you can generate the data of your prospective customers more easily and reliably and transfer it to Evalanche. In addition, V7 offers you the security and technical prerequisites to generate EU-GDPR compliant leads. Protection mechanisms for forms against duplicate registrations of a prospective customer and SPAM registrations by bots. To prevent bot entries, a CSRF token protection feature has been made optionally configurable, which only allows entries after the form has been displayed in a browser. 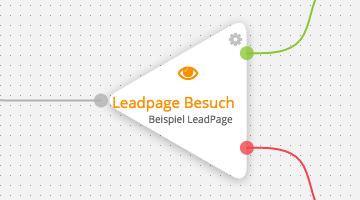 In order to make LeadPage templates in progress invisible for productive use, the LeadPage template can be configured so that it is not offered for a new LeadPage installation. To be able to map as many scenarios as possible, the "Tracking Revocation" checkbox now also has an inverted display. This means that the field can be used for both consent and revocation. In order to limit the time or quantity of profile updates via autosubmit form, the "Limit" function has been modified so that the limit is also taken into account for autosubmit forms. The new "Persona" object allows you to manage your individual persona definitions in the system and use them in a variety of places. You can define various attributes for your persona and assign points for these attributes. Based on the automated assignment of your profiles, campaigns can then be started, content personalized or mailings can only be sent to the persona you have defined. With the new Persona property, you have considerably more flexibility and a more detailed selection than with target groups. 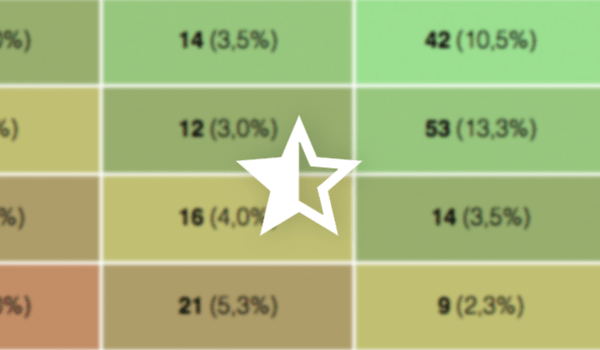 With extended scoring in Evalanche V7, you benefit from a global and cross-client evaluation of the scoring values. If different departments have their own clients in Evalanche, you will be able to evaluate them across all clients in the future and thus have more transparency in your data. Address your website visitors personally and individually with the Website Personalization in Evalanche V7. 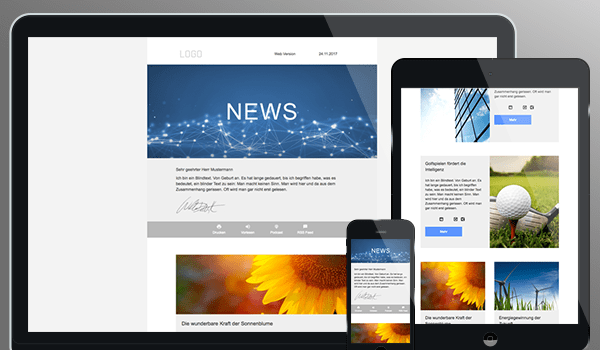 In Q1 2018, we offer you numerous new and modernized templates for e-mailings and lead pages with modern design forms and increased usability. With the hybrid technology, you can create emailings and lead pages optimized for mobile use with the most universal client compatibility. In Evalanche V7, we have carried out numerous modernizations and additions to the SOAP interfaces to make an internal alignment between sales and marketing even easier and the software more intelligent. With the new SOAP function in Campaign Designer, you can easily query campaign information and transfer the profiles to the desired system. Using the API, you can now easily create and configure article and container types. 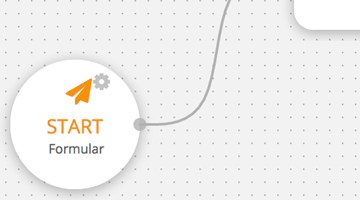 SOAP enables you to automate the creation of integrated dynamic content and layout scenarios. One of the main features of the email marketing automation solution Evalanche is its excellent data protection and certified data security by TÜV Süd and TÜV Hessen. These awards are very important to us, which is why we have the software recertified annually through new audits. Because we want your data and the data of your customers to be protected in the best possible way and you are already prepared for EU-GDPR. On request, we can also offer you DMARC in addition to SPF and DKIM, so that you can increase the deliverability of your mailings and reduce misuse of e-mails. A history collected anonymously before registration can be transferred to the new profile after registration and can also be configured for groups. Evalanche V7 offers you the best technical prerequisites for implementing the innovations of the EU-GDPR in a legally compliant manner. With Evalanche V7 you have precise control of consent and objection to personal data collection. This means that you have the technical prerequisite for collecting your data in compliance with EU-GDPR regulations. With our numerous connectors, you can now connect even more systems and thus have even more data-based evaluation and personalization options. Evaluate the commitment of your user profiles to your video content with Evalanche V7. Together with our partner IP TV, we offer you in V7 a solution with which you can track the commitment of your users to media libraries and video content and evaluate them according to their profile. Online marketing and dialogue marketing agencies can now easily create and configure individual newsletters and emailing templates for their customers. And without any programming knowledge. In cooperation with nextage we now offer agencies a configuration set for multi-variant, multilingual template scenarios. This makes it easy to create individual newsletters and emailing templates for your customers. Configure independent connections of Evalanche V7 to third-party systems with the adapter hub. With the adapter hub of our partner Marini Systems you have the possibility to configure connections of Evalanche to third-party systems independently from 2018. Have addresses checked for errors in the address data - even when they are entered in a form. With the automatic address correction for form entries, our partner Uniserv offers you an automatic correction in case of errors in the address data (e. g. wrong postal code for a known place and known street). So you can either check this data immediately upon registration or have old data checked for correctness. This enables you to ensure that your message arrives correctly in print format. If you use this function, you may incur additional costs. Become an evalanche expert in email marketing, lead management and marketing automation with our new eLearning platform. In 2018 we will create an interactive eLearning platform for our customers together with our partner eRaumwerk. This enables you to learn on your own to become an Evalanche expert in the fields of email marketing, lead management and marketing automation and to have your know-how certified. Up-to-date industry news, technical articles, system status and update announcements - in the future, everything will be simple and from a single source: with the new Evalanche News App for iOS (and soon also for Android). Stay up to date with the latest news and find out about all the latest software updates. Note: Some of the above functions are not available in all tariffs.